The statistic shows the number of vehicles involved in injury traffic crashes in the U.S. in 2016. 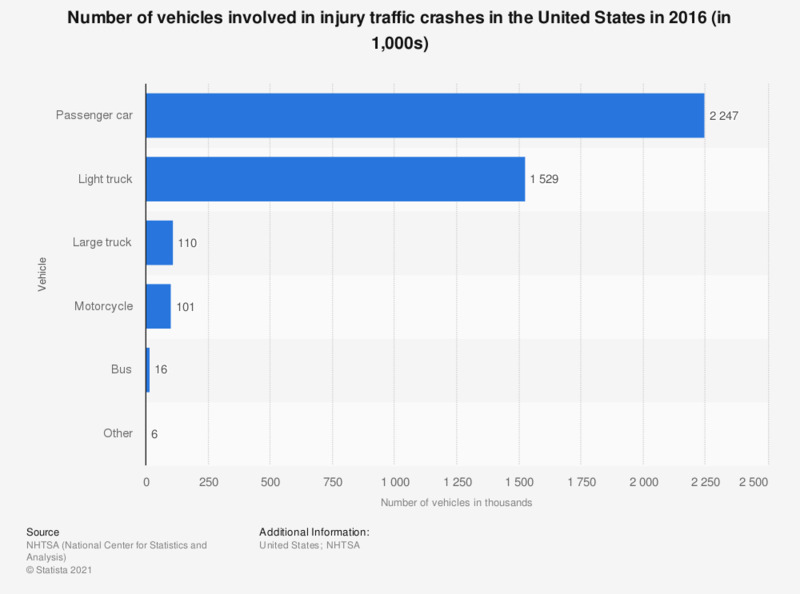 In that year, around 2.2 million passenger cars were involved in U.S. injury traffic crashes. Some 56 percent of traffic crashes involved passenger cars.